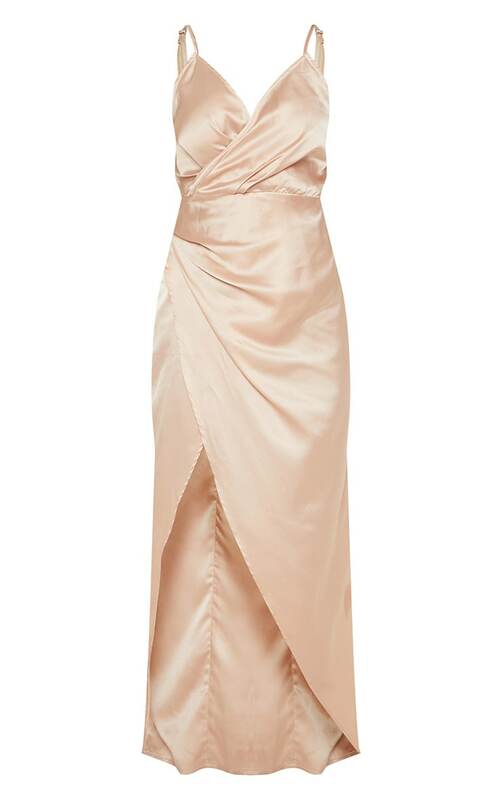 WOW, get ready to turn heads in this stunning satin maxi dress. Featuring a champagne satin material, with a wrap detail and floor-sweeping length, this is the perfect outfit choice for your special occasion. Team with strappy heels and a simple clutch for a look we're crushing on.